Outside Shibuya Station in Tokyo, there is a statue of a dog named Hachiko. In the 1920s, the dog would greet his owner at the station at the end of every day. One day, the owner died suddenly and never made it home. But Hachiko spent the next nine years, until his own death, returning to the site every day, hoping to see his owner. 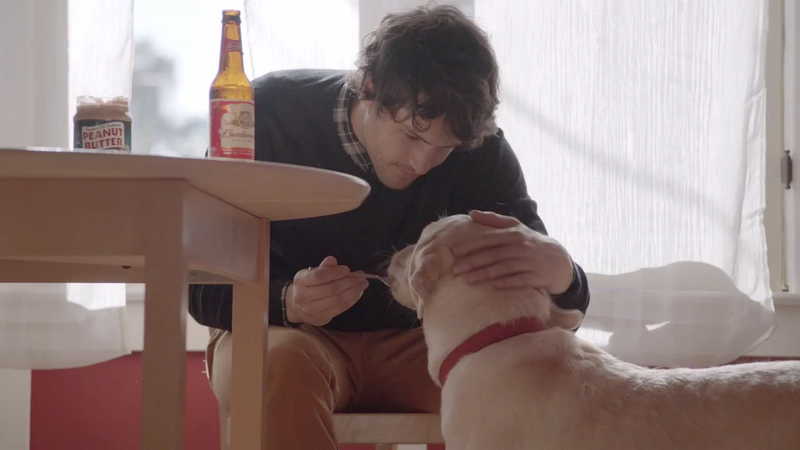 A similar story of a dog's unceasing loyalty is the subject of Budweiser's latest responsible drinking ad, which rolled out Friday for Global Be(er) Responsible Day, which Bud conceived to talk about drinking and driving. The spot, directed by Gus Black, which has more than 6 million views as of Monday morning, shows man's best friend pining for his master's return after he leaves one night to go drinking with friends. There's been some griping about why the protagonist here wants to stay alive for his dog—and not his kid or wife or something. Well, people who whine into a comment box before really thinking about it, who do you think overdrinks the majority of the Budweiser in this country? A bunch of young dudes who don't have wives or kids yet. Thus, the smart hashtag: #friendsarewaiting. It's also, wisely, not overly realistic. We don't need the scene where the dog destroys a shoe and pees everywhere in retaliation.